Yes, that's right, tipis for dogs! give you dog the perfect hideaway with one of our dog tipis. 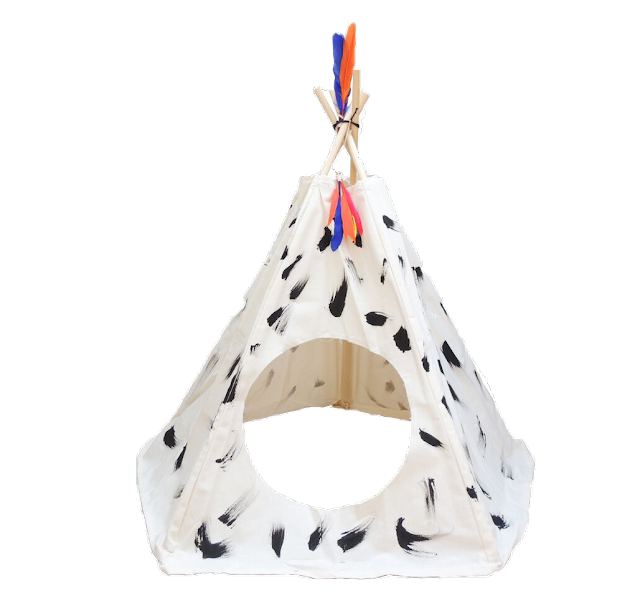 Available in a range of patterns, these dog tipis come complete with brightly coloured feathers and a leather cord. Each one is hand printed here in the UK. Why not throw some fairy lights around your dog tipi and place it over one of our luxury faux fur pet blankets for the ultimate nook.